Cal Air (DK) was the name that California Air Commuter was best known as when the small commuter airline started service during the summer of 1975. Based at Oakland International Airport, a local fixed base operator, Marine Aviation decided to start a scheduled airline to fly passengers between the Bay Area and smaller cities throughout Northern California. A Piper Navajo was obtained and flights started in October 1975, with flights from Oakland to Truckee and Oakland to Redding via Chico. During 1976, the airline relocated across the bay to San Francisco International Airport and signed an interline agreement with Trans World Airlines (TWA). 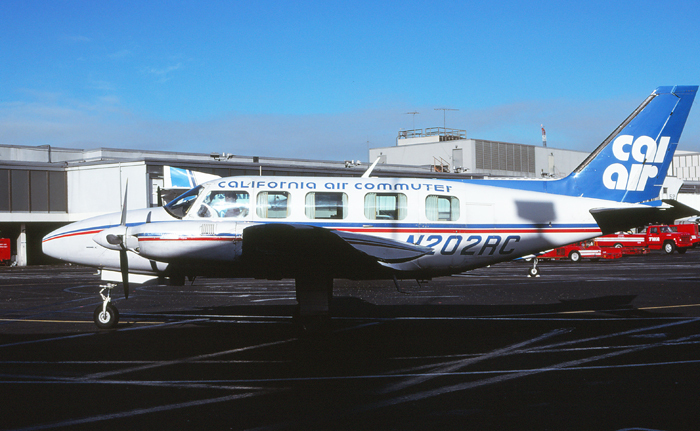 This partnership gave a tremendous boost to the commuter and by the summer of 1977, Cal Air was flying to sixteen cities in northern California and to Reno, Nevada with a fleet of six Piper Navajo’s. Although the commuter had a large route map, a majority of the cities served were actually small tertiary destinations that had rather low passenger demand. Smaller communities such as Placerville, Novato, and Clear Lake couldn’t maintain the profitability for the airline to continue operating and with increased competition at San Francisco by STOL Air, brought Cal Air to a close and the small commuter shut down operations during November 1977. Using a fleet of six Piper Navajo aircraft, Cal Air provided commuter services across northern California. Parked at the commuter ramp at San Francisco International Airport in November 1977, is N202RC, a Piper PA-31-350 Navajo Chieftain. 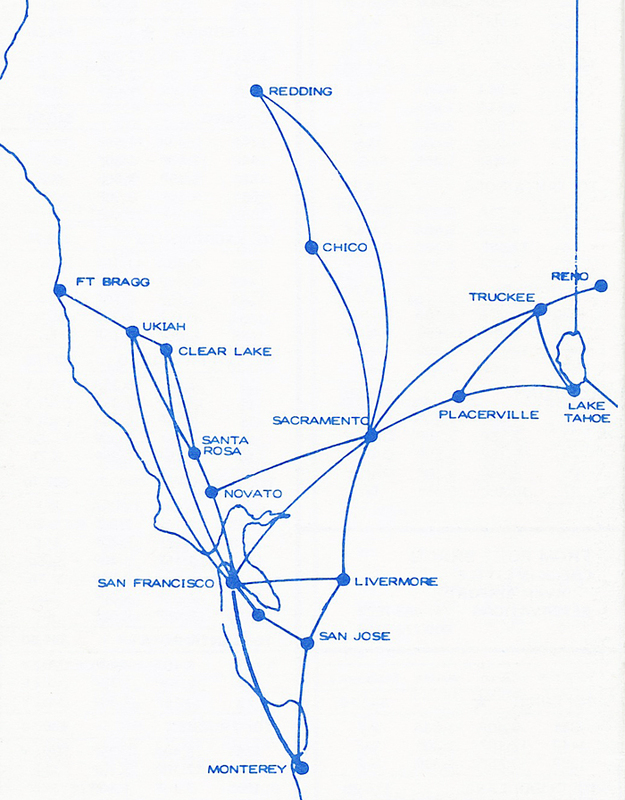 Cal Air's route map from July 1977.